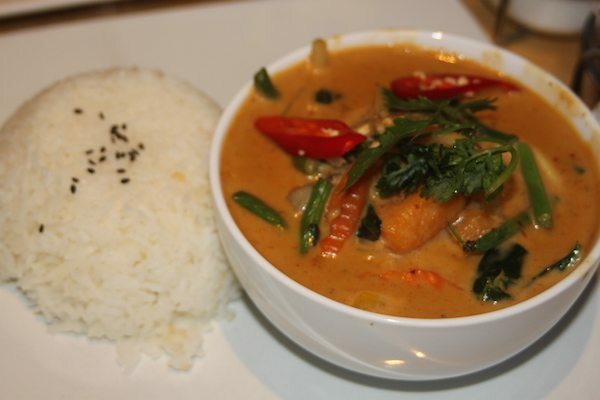 Street Thai Brighton is located in the heart of The Lanes, although a little hidden away, in Brighton Square, a location that historically has proven tricky for some. 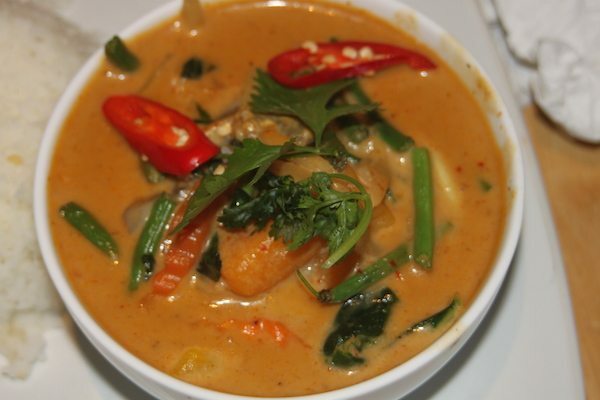 The aim is to produce healthy and delicious Thai dishes made with the finest and freshest ingredients. 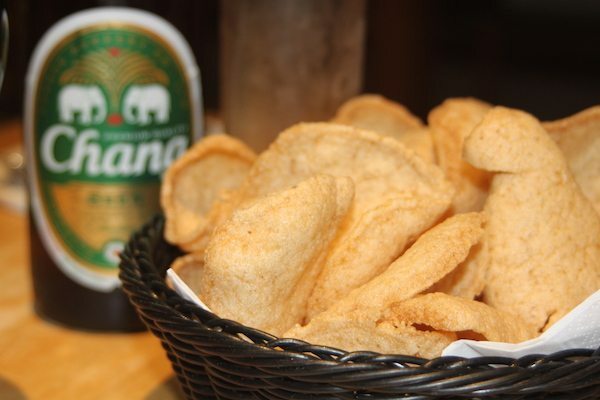 The menu features speciality dishes from all over Thailand, with a particular emphasis on traditional Thai street food. The décor has a touch of Asian flare in the shape of some interesting graffiti art, along with some more traditional pieces scattered amongst the simple wooden furniture. 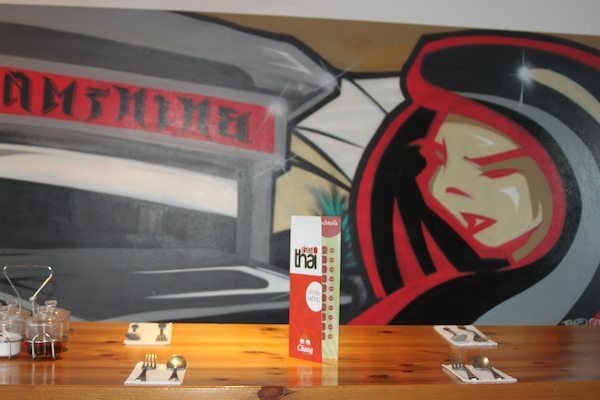 The vibe is unlike many of the other Thai restaurants in Brighton; Street Thai is clearly trying to mix a more contemporary aesthetic, with a traditional menu. The a la carte menu features all the usual suspects and some more surprising additions. 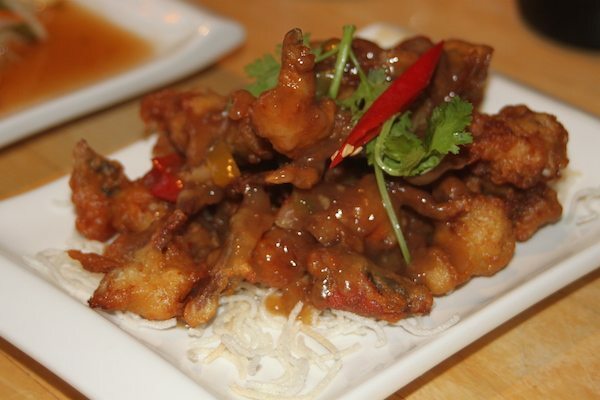 Alongside the usual curries, pad thai and papaya salads you will find dishes such as soft shell crab. There is also a set menu that offers an exceptional value meal. 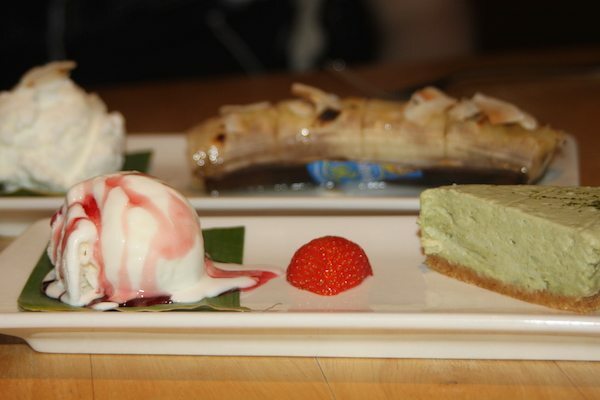 Desserts are a welcome addition to the menu and something that you might not always expect from a Thai restaurant. Come the summer months, Street Thai, enters a class of its own with their large roof terrace that overlooks Brighton square. 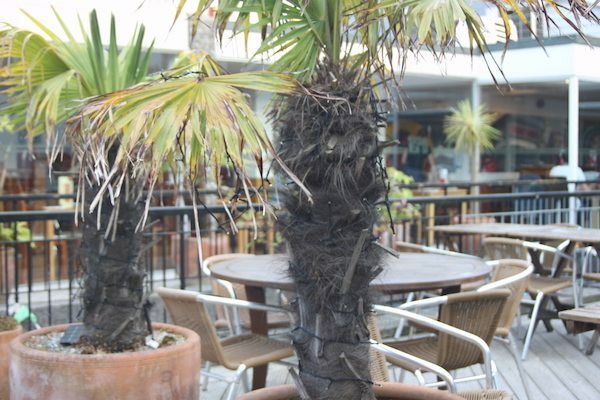 The already large restaurant is further added to with large amounts of outdoor seating to take in the best of Brighton’s summer months.